Effective date : September 1st 2015. 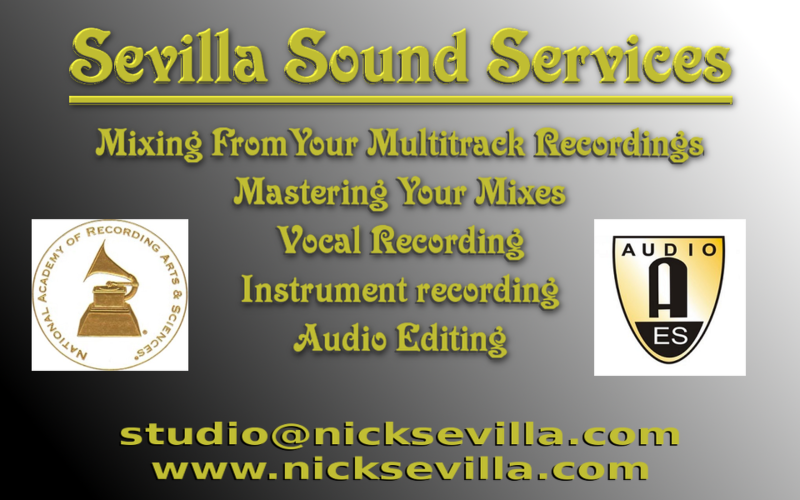 For: Audio Editing, Recording, Arrangement, Production, Post-Production, etc. Per Mix Rate: $400.00 per song. For: Any multitrack music recording, up to 48 tracks and 6 minute length. Block Quotes available, please inquire by responding to this post via Private Message.